Most people know that acupuncture uses needles inserted into specific points on the body, but do you know the history of acupuncture? Or why it is used? Chinese traditional medicine developed acupuncture between 2,000 and 4,000 years ago in order to promote health, treat illnesses, and give your body a boost to its immune system. Acupuncture isn’t the only use of holistic medicine; another method is cupping. Read on to learn more about acupuncture, cupping, and Chinese holistic medicine. 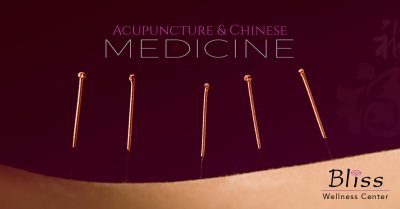 Acupuncturists will use fine needles, inserted into specific points around the body. Depending on the illness that a patient wants to heal, there are different points on the body that are used. For headaches, a pressure point is in the space between your index finger and thumb, between the second and third toes, the temples, and a final point is located above the eyebrow. For shoulder pain, one point is also between the index finger and thumb, another is in the groove in the front of the shoulder, another between the second and third toes, and another on the back of the shoulder, above the armpit. For back pain, two pressure points are on the back, opposite to the belly button on either side of the spine. Two more points are located on the crease beneath the buttock, and two more behind the knees. All of the pressure point on the body are known as neurovascular nodes which have a large amount of sensory fibers, blood vessels, and cells. The pressure points correspond to different organs and diseases related to those organs. Triggering these points can promote healing in order to treat various illnesses because the peripheral nervous system is stimulated. The very fine needles will release systems that are blocked in order to restore balance. Acupuncture can treat illnesses from back pain to headaches, morning sickness, stroke, and more. Even though cupping has become more popular in today’s culture, it is not a new method of holistic medicine. It is believed that it began with a Taoist alchemist Ge Hong around 300 A.D. Generally, cupping is a vacuum that creates a negative pressure when a cup is pressed firmly on the skin. Cupping can be described as a massage, but in reverse; rather than pushing the muscles down, the cup is pulling the muscles and skin up. There are several different methods of cupping using different materials for the cup, including glass or plastic and also different shapes. The most common methods of cupping include dry and moving cupping. Dry cupping is the standard cupping technique. We typically use a plastic cup (specialized medical cup) with a suction pump which controls the amount of suction that you will experience. Another procedure is where we use a cotton ball that is soaked in alcohol, ignited and briefly placed inside the cup. The fire burns off the oxygen and creates a vacuum that pulls the muscle, skin, and fascia up into the cup. Whichever procedure is used, cupping is very effective for releasing muscle pain and strain. Moving cupping involves sliding the cups around the body while the vacuum is still forming. This allows multiple points to be treated and is great for athletes or those suffering from chronic pain. Cupping is typically used to loosen up muscles that have tightened up after strenuous workouts or long days sitting at a desk. The vacuum will help loosen up knots in the muscles, similar to a massage. The enhanced circulation can help improve recovery time. Cupping will leave bruise-like marks on the area of the skin that was treated. Although they look like bruises, it is simply the blood being drawn to the surface and goes away on its own within a couple of days. Naturopathic and Chinese traditional medicine strive to naturally treat the body and illnesses as a whole, rather than treating the symptoms of a disease. With acupuncture treatment and methods of functional medicine, Bliss Wellness Center sees patients as whole beings that should be treated with natural herbs and methods that don’t cause severe side effects. If you struggle with pain or illness and want a different approach to healing, contact us today.